Pharrell Williams (born April 5, 1973), also known simply as Pharrell , is an American singer-songwriter, rapper, record producer, musician, and fashion designer. Williams and Chad Hugo make up the record production duo The Neptunes, producing soul, hip hop and R&B music. He is also the lead vocalist and drummer of rock, funk, and hip hop band N.E.R.D, which he formed with Hugo and childhood friend Shay Haley. He released his first single "Frontin'" in 2003 and followed up with his debut solo album In My Mind in 2006. As part of The Neptunes, Williams has produced numerous hit singles for various recording artists. 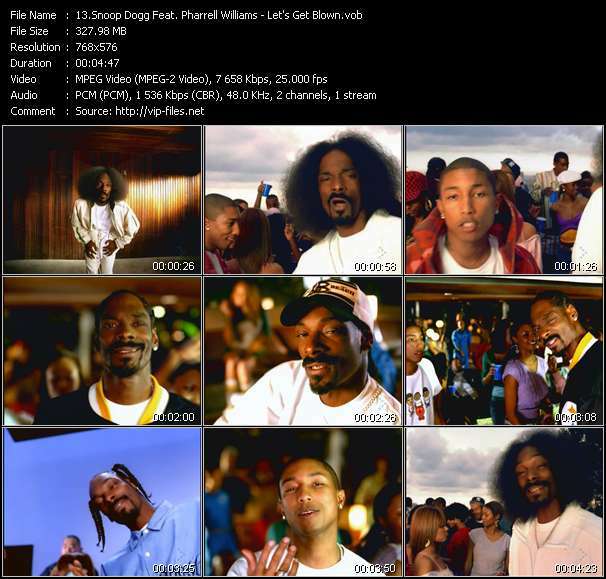 Williams has earned seven Grammy Awards including two with The Neptunes. He currently owns a media venture that encompasses entertainment, music, fashion, and art called i am OTHER, a multi-media creative collective and record label that serves as an umbrella for all of Pharrell Williams' endeavors, including Billionaire Boys Club and Ice Cream apparel, Billionaire Girls Club, textile company Bionic Yarn and a dedicated YouTube channel launched in 2012. The channel was launched on May 12, 2012 as part of YouTube's $100 million original channel initiative.